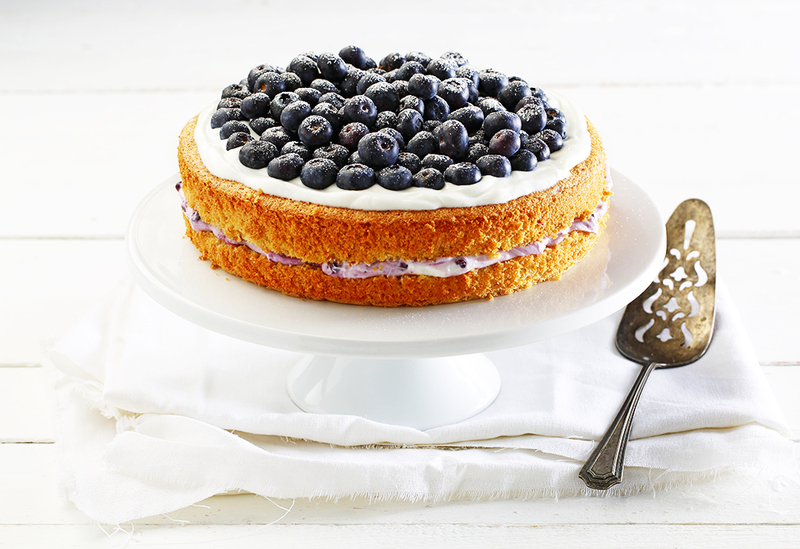 A deliciously moist cake that offers fiber and endless options for fruit toppings. 1. Preheat oven to 325ᵒF (160ᵒC). Line the bottom of a 9-inch springform pan with parchment paper. 2. In a large bowl, beat egg whites with cream of tartar for about 2 minutes or until frothy. In two additions, add 1/4 cup (60 mL) of the sugar, beating until soft peaks form. 3. In another bowl, beat egg yolks with the remaining sugar for about 2 minutes until light yellow and thick. Do not continue to beat. Add canola oil, almond extract, almond meal, flour, orange zest, and salt. Stir gently to combine. Stir in about one-third of the egg whites. 4. Add remaining egg whites and fold until mixed. Transfer to springform pan. 5. Bake for about 50 minutes or until toothpick inserted comes out clean and cake is firm to touch. 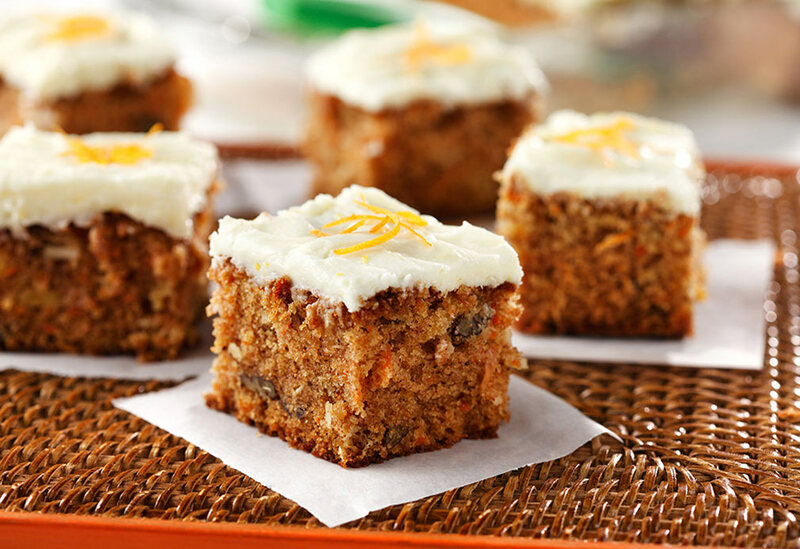 Allow cake to cool fully before slicing and serving. Serve with blueberries and yogurt. Cake freezes well. Nothing exemplifies the fall season quite like the smell and taste of fresh apples. 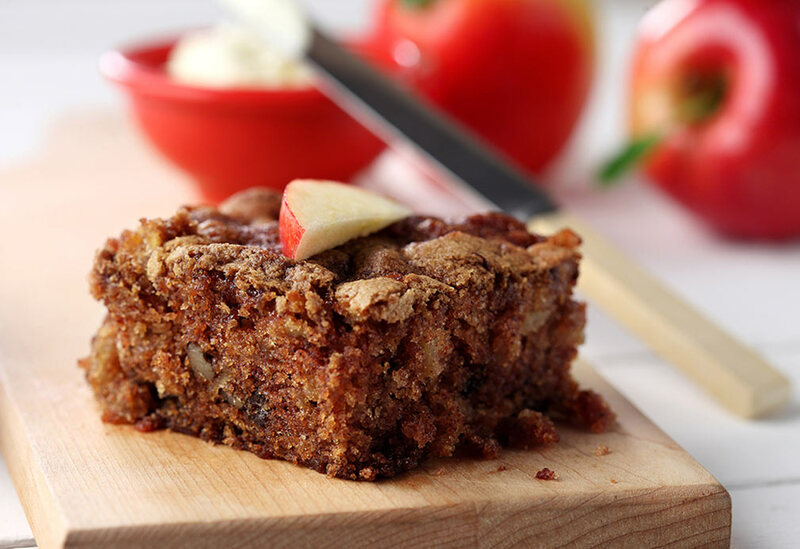 Make the most out of your trip to the orchard with this fresh apple cake recipe. 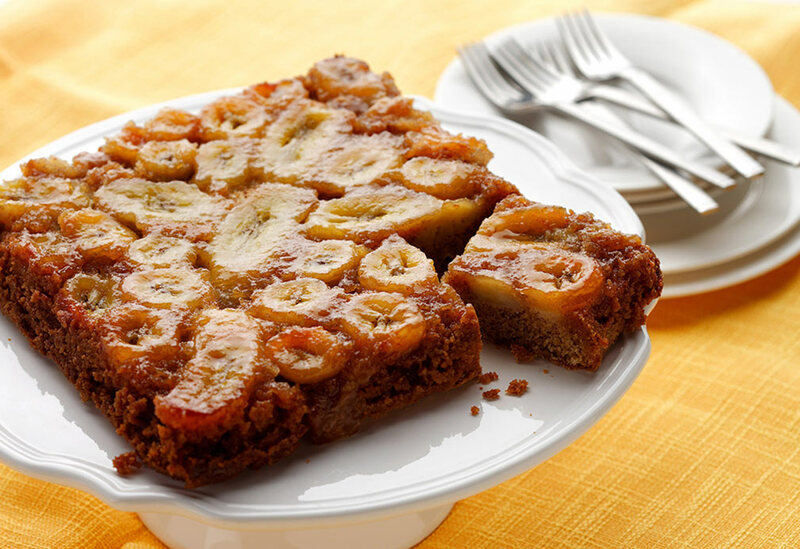 Tasty with any fruit, but bananas are so easily available year-round, that this recipe is a perfect solution to "what's for dessert?"